Did you know it was Movember? It's the month dedicated to growing mustaches, fighting cancer and raising awareness about men's health. So how are your ancestors involved? Odds are some of your male ancestors sported a mustache. If you've got a photo of them, you can upload it to the Hairy Machestors Facebook page. For every photo of a mustache sporting ancestor (no beards allowed), Inside History Magazine will donate 50¢. Add a photo of yourself next to your ancestor and they'll donate $1. 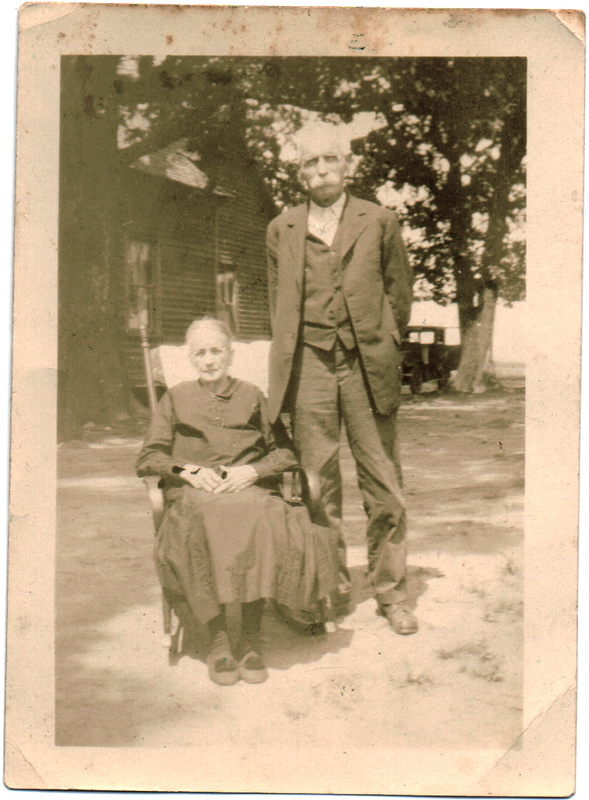 So far I've uploaded this photo of David J Witt and his wife, Alice. I'll have to look through the rest of my photos and upload others that I find (I think there might be a five photo limit).